Peridot Facts - What is Peridot? The world’s largest cut Peridot stone ever found is 311.78 carats (62.35 grams)! It was discovered on Zagbargad Island, Egypt, and is now housed at the Smithsonian Museums, USA. Also, an exquisite 192,75 carat Peridot gemstone is kept in the Diamond Treasury – Moscow, Russia. Furthermore, a 146 carat Peridot gem is kept in the Geological Museum in London, England. Peridot was adopted the official birthstone for the month of August in 1912 by American National Association of Jewelers. The beautiful and powerful gemstone is said to protect and help anyone born in August. The Peridot birthstone is believed to ward off any fear or insecurity, and increase self-confidence and joy. 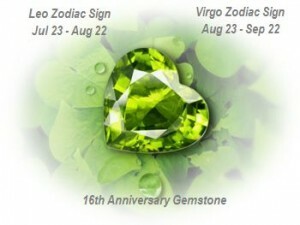 The August birthstone Peridot is also the birthstone for the zodiac signs Leo (Jul.23 – Aug.22) and Virgo (Aug.23 – Se.22). A Peridot gemstone is the perfect gift for couples celebrating their 16th wedding anniversary. It is recommended as the 16th anniversary gemstone. The Peridot value is very much determined by the color of the stone. The darker green color contains less iron and is more valuable then the yellow-green Peridots. The size of the gem will affect the price of Peridot. This has to do with the fact that larger Peridots of 5 carats or more are quite rare, and therefor more expensive – per carat! A top quality Peridot has an eye clean clarity. Any visible inclusions (black spots, lily pads etc.) will lower the price of the Peridot stone. Myanmar and Pakistan have some of the largest and finest quality Peridots. Such top quality Peridots are rare and thus more expensive. Commercial quality Peridots from USA, China, Vietnam, and South Africa are mostly under 5 carats and the price per carat is therefore lower. Peridot can be found in Pakistan, Myanmar, USA, China, Vietnam, and South Africa. Peridot – in its basic form – has also been discovered in meteorites, on the Moon, and on Mars. The color of the Peridot gemstone is always untreated and totally natural. The color ranges between light yellow-green to dark grass-green. The darker green Peridot color is more valuable than the yellow-green. The Peridot value ranges from $25-$500 per carat. Peridot as a healing stone can be beneficial for the whole body, especially the heart, lungs, stomach, liver & kidneys. Peridot is the official birthstone of the month of August. Peridot is the 16th Anniversary gemstone. Most Peridot gemstones are olive green. However, the Peridot color ranges from yellow-green to dark-green, depending on the iron content of the gemstone. A yellow-green Peridot stone has more iron compared to a darker-green Peridot. The iron content will not only affect the color of the gemstone, but the value as well. The darker-green Peridots – with less iron – are more valuable and expensive compared to the yellow-green Peridots. Even so, the olive green color is very popular and it is relatively unique since there are not many gemstones that occur in this color naturally. When was Peridot first discovered? Peridot is an Ancient Gemstone. The history of Peridot goes back more than 3,500 years when the Egyptians discovered the gemstone. In those days, Peridot was highly desired and adored. The gemstone was said to have magical powers and was often used for healing and protection. The ancient Egyptians believed that the Peridot stone could ward off evil and protect against nightmares. What is Peridot? What is the chemical composition of Peridot? Peridot is a Gem-Quality Olivine. Peridot is the most well-known gem variety of the silicate mineral called Olivine. So what is a Peridot – its chemical composition? 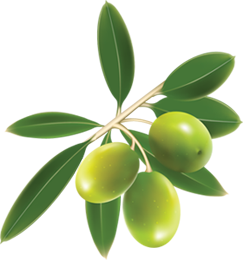 The formula of Olivine is (Mg, Fe)2SiO4 – and since Peridot is a very magnesium rich variety of Olivine, the Peridot chemical composition approaches Mg2SiO4. Most Peridots occur in lava rocks, but the gemstone has – in its basic form – been discovered in meteorites as well! The most precious and valuable Peridots are found in Burma and Pakistani. However, the majority of commercial Peridots come from USA, China, Vietnam and South Africa. Peridot Prices – How much does a Peridot cost? 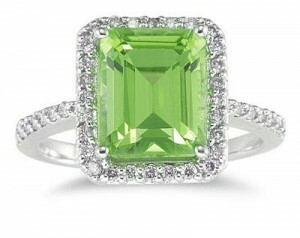 The Peridot price per carat ranges a lot. For example, you can find gorgeous peridot rings with silver setting for as little as $25, and there are Peridot stones that can go for about $900 a carat! Factors such as color, size, and quality will determine the peridot value. In general, the Peridot prices are relatively low and you can find lots of beautiful Peridot jewelry at reasonable costs. If you are on a budget, look for the green-yellow Peridots with sizes under 5 carats. 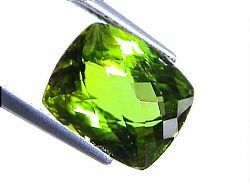 What are the advantages of buying loose Peridots? If you want to make sure that your get the best Peridot value for your money, you could buy loose Peridot stones instead of pre-set stones. A jewelry setting can hide the inclusions and deepen/brighten its color – whereas with loose Peridot gemstones, you will be able to inspect the whole stone and thereby get a fair price. What are the healing properties of Peridot? The Peridot powers include prosperity, good luck, happiness, and peace. Its vibration resonates with success, openness, and growth. It is perfect for manifestation of all desired things! The beautiful olive green Peridot gemstone can also be very helpful if you want to increase your self-confidence and become more assertive. It can also have a balancing and soothing effect on your nerves. The Peridot stone is said to clear the pathway to the heart and is a symbol of undying love. It is also a perfect stone to wear for protection against psychic attack, nightmares, or to ward off evil. When viewing the Peridot healing properties on a physical level, it is said to be truly amazing. Peridot offers healing to the whole body, which means that this precious gemstone can be useful for any ailments – but is especially useful for the heart, lungs, stomach, liver, and kidneys. To name a few, the healing properties of Peridot include the reduction of stress, stomach issues, sugar sensitivity, and circulation problems. Is Peridot used for healing the Chakras? Yes. Due to its balancing effect and its light green color, the Peridot gemstone is often associated with the Heart Chakra and the Solar Plexus Chakra. 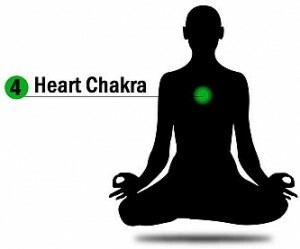 The green color is the color of healing, especially on the heart and the solar plexus chakra. It symbolizes the life force and connects with the healing powers of Archangel Raphael. This is why the Peridot gemstone is often used in spiritual healing. The green Peridot color is associated with the heart chakra, where emotions of unconditional love, forgiveness, and trust is centered. The Peridot stone can assist you in letting go of the past and help you to release negative emotions such as anger, hate, jealousy, and fear. On a physical level, the green Peridot gem can be very beneficial with problems of the heart, lungs, upper back, shoulders, thymus, and the circulatory system. Since the Peridot gemstone also has a yellow nuance in itself, it can be very helpful for the solar plexus chakra as well. This chakra is the center for self-esteem and accomplishment. When the solar plexus chakra is not balanced, we can become very Ego oriented, critical of ourselves and others, and have a tendency to worry a lot. The light green Peridot crystal can help soothing problems with digestion, ulcer, bulimia, anorexia, hepatitis, diabetes, adrenal glands, pancreas, spleen, liver, kidney, adrenal glands, and the endocrine systems. The leading peridot website on the net!